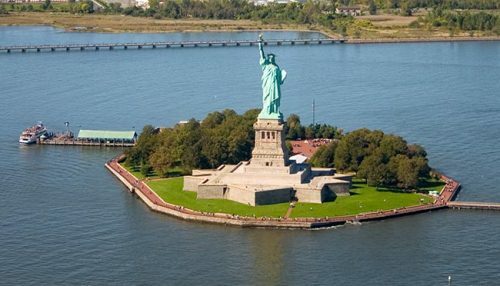 Many people do not know that statue of liberty in American has a full name. It is called as Liberty Enlightening the World. The statue is a gift from France to US in 1886. 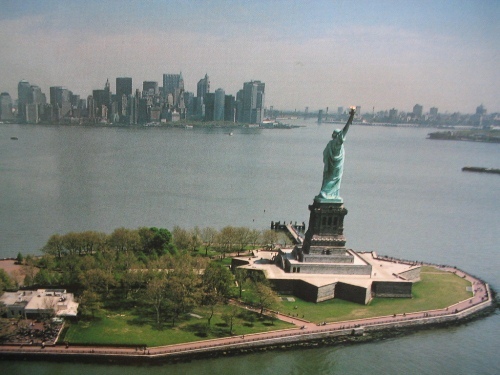 If you want to know the location for liberty statue, see Ellis Island facts. The statue was inspired by the Roman goddess of freedom. She is liberates. The world fair in Paris displayed the head for liberty statue in 1878. The lady holds a torch and tablet. If you look closely, you can find the inscription of July 4, 1776. It was the date for the American declaration of Independence. We know the liberty is a very giant statue. The weight is around 204 metric tons, while the height for this statue measured from the top of the ground is 93 meters. If you visit the statue and want to reach the crown of the liberty statue, you need to climb 354 stairs. You can see the view from the top because there are 25 windows here. 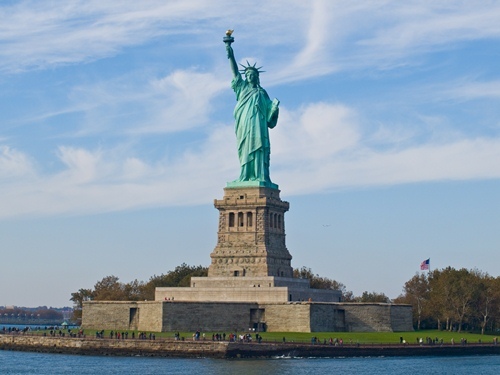 Statue of liberty is a famous attraction in the world. It is estimated that 4 million people visit the statue each year. Let me give you a comparison with other beautiful structures. The London eye is visited by 3.5 million people and Effie tower is visited by 6 million people each year. Look at New York facts to get the details. The crown has seven spikes. 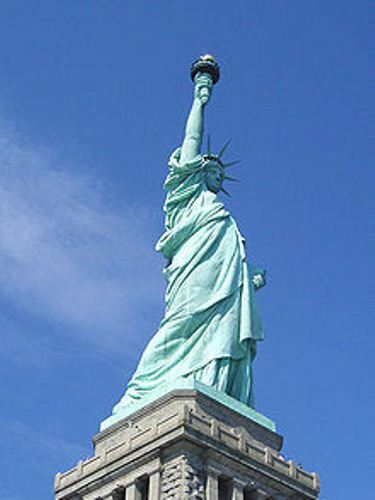 It symbolized the universal concept of liberty. It represents the seven continents and oceans in the world. The main materials used to make the liberty statue are copper exterior and iron infrastructure. Since it is old enough, the sign for deterioration is seen because of the oxidation. The statue now turns green. However, the green coating or patina still gives the full protection for the statue. There are several men behind the construction and design of liberty statue. The ideas of the statue were given by Edouard de Laboulaye. 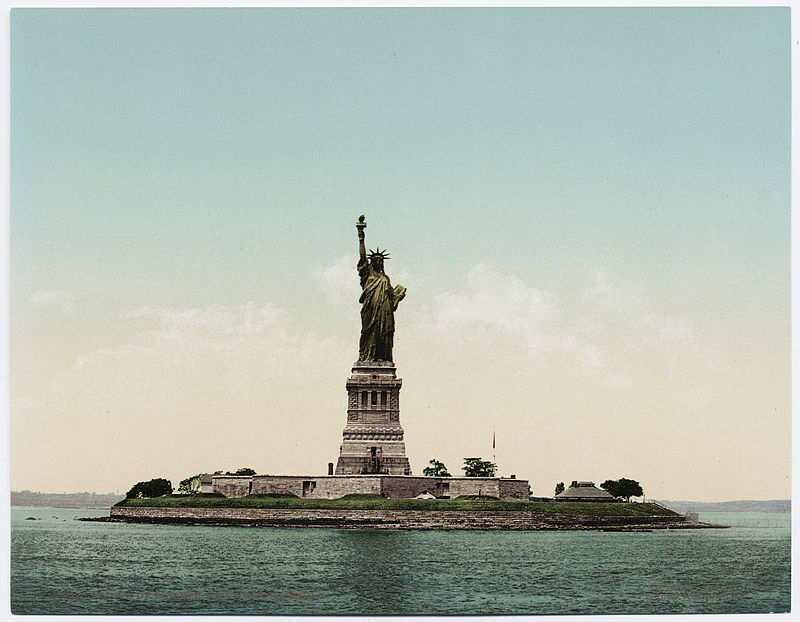 The designer was Frederic-Auguste Bartholdi. The original torch for this statue was removed in 1984. The government replaces it with a copper touch. It was covered with 24 k gold leaf. There are some movies that uses liberty statue in the cinematic appearance. You can see the movies of the Day after Tomorrow, Independence Day, and Planet of the Apes (1968). Liberty statue is very important landmark that we should protect. Thus, a UNESCO World Heritage Site listed it in 1984. Do you have any information on facts about liberty statue to share?